In late January, the 2019 tax filing season officially began when the IRS started accepting and processing federal tax returns for 2018. Despite claims made by the agency that returns will be processed and refunds issued according to schedule after the government shutdown, many taxpayers continue to have trouble getting through to agency employees, so if you need help filing your own return, or if you have questions about your refund, you should consult with an experienced tax return preparation attorney who can address your concerns. The filing deadline for most taxpayers who are submitting a 2018 tax return is April 15, 2019, although residents of Maine, Massachusetts, and the District of Columbia will have an additional two days to file due to conflicting state holidays. It is anticipated that nearly 90 percent of the nearly 150 million tax returns that will be filed this year, will be submitted electronically, which is one of the fastest and safest ways to file an accurate return and receive a refund. However, it is important for taxpayers to remember that the Tax Cuts and Jobs Act (TCJA) of 2017 made a number of changes to the tax code that could impact their returns. 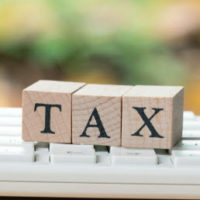 For instance, many tax rates were reduced, which means that most taxpayers will need to adjust their withholding amounts before filing their returns. The IRS expects to issue the first taxpayer refunds in the first week of February, although most will be paid by mid to late February, as in previous years. In fact, the agency anticipates that it will issue more than nine out of ten refunds in less than 21 days. However, refunds for tax returns, in which taxpayers claim the Earned Income Tax Credit (EITC), or the Additional Child Tax Credit (ACTC) cannot legally be issued before February 15th. This applies to the entire refund, including the portions that are not associated with these credits. Like last year, the IRS expects the earliest EITC/ACTC-related refunds to be available beginning on February 27th, as long as there were no issues with the tax return itself. In addition to the many changes made by the TCJA, the IRS has also revised Form 1040 by consolidating Forms 1040, 1040A, and 1040-EZ into a single document. If necessary, the new form can be supplemented with additional schedules. Taxpayers are also encouraged to make sure that they have copies of all of their year-end statements before filing, including Form W-2s, which can be obtained from employers, and Forms 1099 from banks and other payers. Taking this step can help avoid refund delays and prevent taxpayers from having to file amended returns. If you live in Florida and need help filing your tax return, please call 386-490-9949 to schedule a free one-on-one consultation with dedicated tax return preparation lawyer Ronald Cutler, P.A. today.